These are the lovely words of Tim Cahill, the travel writer, and sum up our approach to travel as a family. There is so much to see and explore in the world but it is the people we are fortunate enough to meet along the way that live in the mind the longest. In 2017 we took our three kids to Rwanda for a 14 day adventure. We had the most wonderful trip as a family and learned just what was possible for us to do and see together. So much so that we are returning to Africa this year. Check back here for posts on our trip to Malawi at Easter. Some Videos of Family Adventures so Far . . . There is no doubt that the continent of Africa offers some of the most breath-taking and unforgettable wildlife spotting experiences in the entire world. However once you have decided that a trip to Africa is on the agenda, the next big decision is which country do you visit. This all depends on what kind of wildlife spotting experience you are looking for, with so many different countries offering unique and mesmerising factors. If you are looking for some ideas, here is a list of the five best places to spot wildlife in Africa. Botswana is top of the list thanks to its diverse ecosystem. With a mix of river, salt pans and savannahs, you have the opportunity to see a wide range of African wildlife that you might not be able to see in other locations. 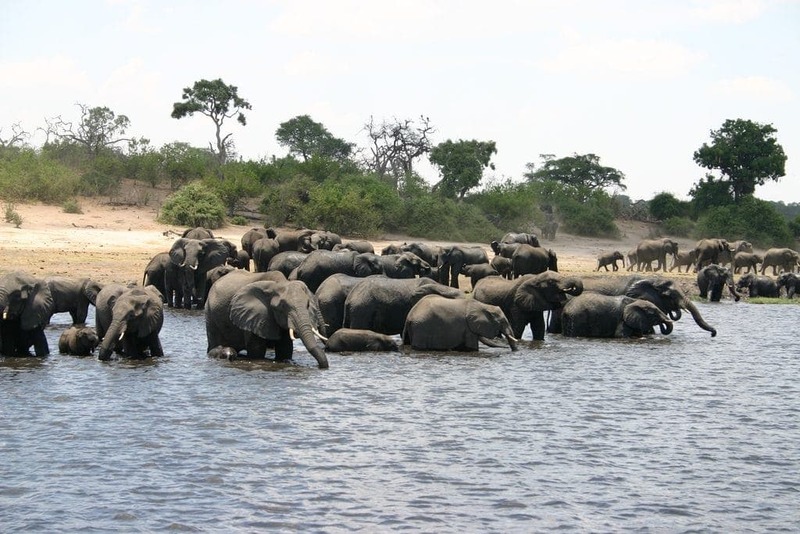 The Chobe National Park is the perfect place to start, home to the largest herd of elephants in the entire world and boasting the Okavango Delta which is an amazing wetland area for something a little different from usual safari. Tanzania is filled with unspoiled, untouched beauty. The Ngorongoro Crater is a spot where you can catch rhinos, lions, elephants and buffalos appearing through the mist at the break of dawn. It literally feels like a scene from the beginning of Disney’s The Lion King! Of course, the Serengeti National Park is not to be missed, with the wildebeest migration in particular being an unforgettable sight. Namibia is unique and known for its expansive desert land filled with red sand dunes and hidden environments. 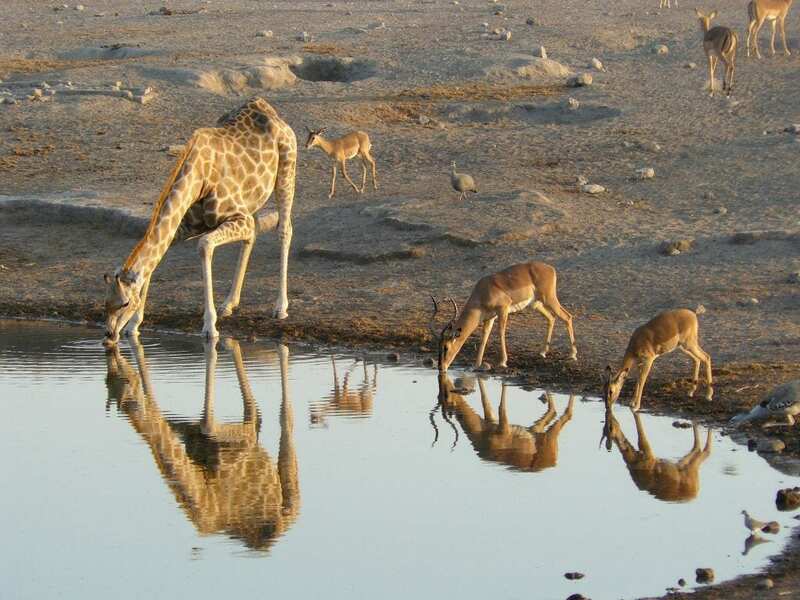 Resting along the Atlantic Coastline, some of the best places for spotting wildlife include Etosha National Park for giraffes, the Skeleton Coast for seals and the red dunes at Sossusvlei for gemsbok. Namibia was one of the most amazing holidays we had pre-kids! Rwanda is definitely best known for the amazing gorilla trekking safaris that you can enjoy whilst visiting the country. Gorillas are without doubt the stars in this part of the continent, and the Volcanoes National Park is home to the biggest number of endangered mountain gorillas in the world. The rest of the country also has lots more to offer, including free roaming antelope to herds of elephants, buffalos, giraffes and zebras. 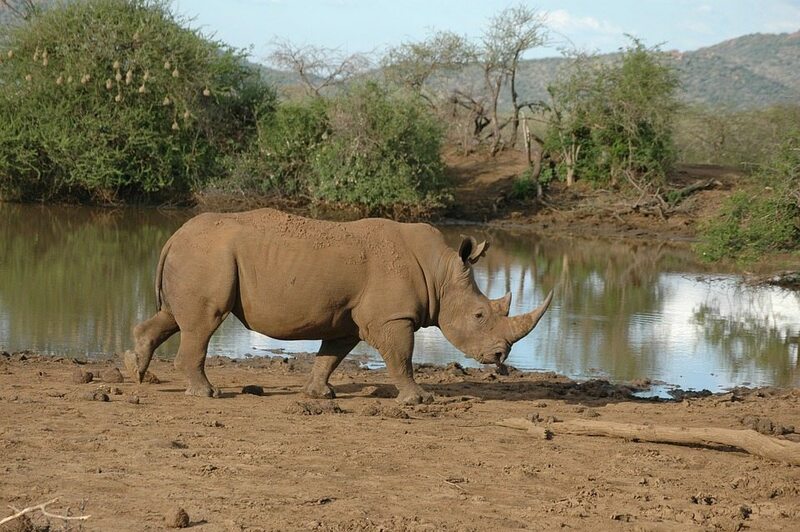 South Africa is a good choice for wildlife spotting if you are looking for other aspects in your holiday too. With a more cosmopolitan culture than anywhere else, you can enjoy all of the diverse and expansive nature reserves whilst also being able to experience some of the more exciting cultural activities the Rainbow Nation has to offer. 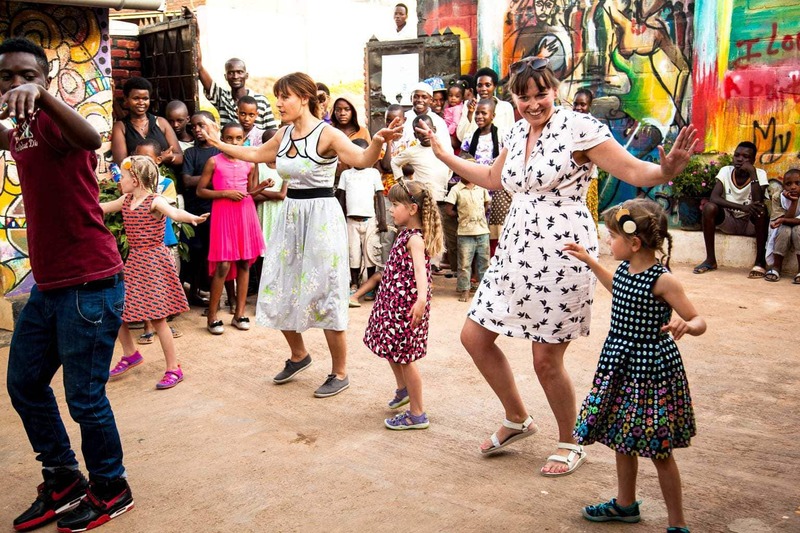 During our time in Kigali we spent a very special hour or so at the Niyo Cultural Centre. Organised by World Fusion Tours the time we spent with the kids watching their drumming and dancing and then trying to copy them ourselves was one of the loveliest things we did on our trip. The Niyo Cultural Centre helps kids to help themselves by teaching them skills to earn money for their own survival. NIYONSENGA Pacifique is the founder of the Niyo Cultural Centre and he is dedicated to improving the lives of street children. He lived on the street from age 6 but was lucky enough to have met a Canadian called Bruno who befriended him and helped him get an education. 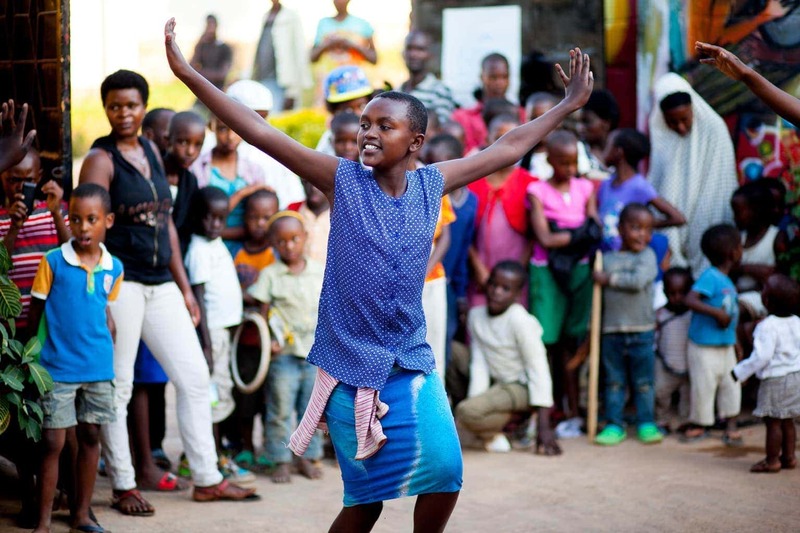 As an adult he saw that not every child living in poverty in Kigali, Rwanda, whether on the street or not, has the same opportunity as he did, so he decided to use his 17 years of drumming , dance Art ( Painting) experience to support 112 children. He teaches them these skills so that they can perform or do their own paintings to earn money to pay for their education, medical expenses and day-to-day living. They don’t get paid for their performances; they rely on donations from venue patrons to help give these children a chance. This is very much a visual post about our time at the Centre as the photos show the experience so much better than I can explain myself. The colours are so vivid and the smiles on the kids faces as they dance and drum are very special indeed. We were welcomed into their Centre and whilst the Centre relies on donations at no stage was I pressured into giving any money and the kids themselves didn’t ask for anything at all. I did of course leave a donation, and then went back to give more, because you know what their determination and their smiles was so very very precious. 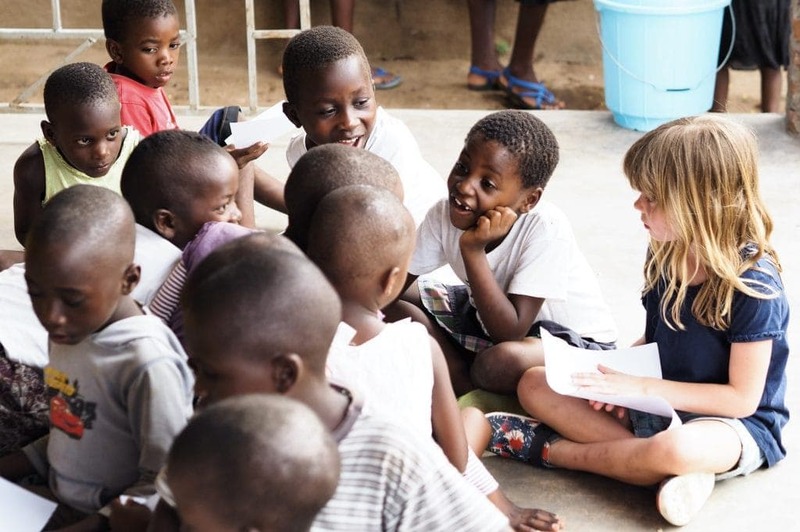 The Book Bus have been working in Malawi since 2010. Their local teams work with 5 schools and they also run the only community library in the Mangochi district. The Book Bus’s mission is that it is committed to changing lives one book at a time. We had the most wonderful time at the Book Bus that afternoon and if you are debating whether you should visit with your kids then the answer is most definitely yes. The visit had initially only been planned for and hour and a half but at 4pm when we were due to leave the girls were still enjoying themselves it seemed a shame to move them on. The Book Bus team showed us around the library they have in the Mangochi District and much to the girls delight they recognised lots of the books. The books (all in English) have been donated mainly from the UK and so the library was not dissimilar to that at our local primary school. The Book Bus run different types of lessons every day and different children attend to take full advantage of the facilities and teaching. On the day we visited the session at the Book Bus started with a book being read out loud for all the kids to hear. 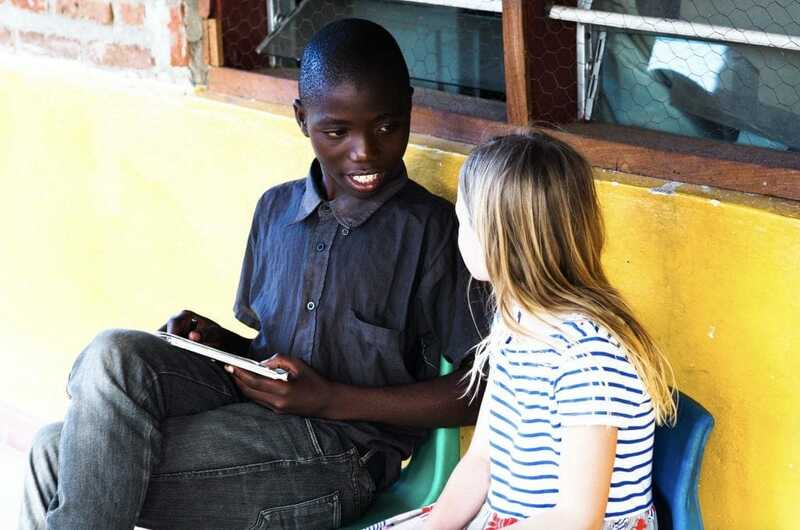 It was to be read in English and then translated into Chichewa so that all the children could understand the book. We left the Book Bus very happy to have been a very small part for an afternoon in the challenge of changing the world one book at a time. If you want to find out more about it do check out http://thebookbus.org/ and watch our video below, some of which was filmed at the Book Bus.